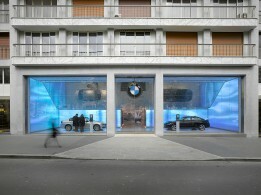 The first of three projects for BMW that conveys CARBONDALE mastery of integrating digital ideas into the Architecture and Brand experience. 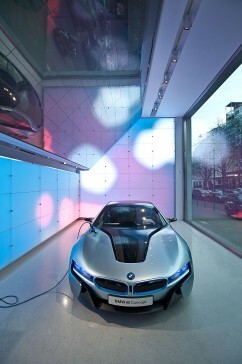 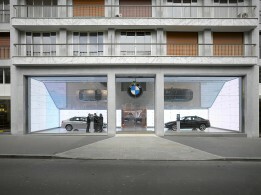 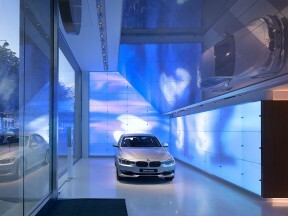 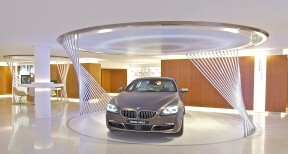 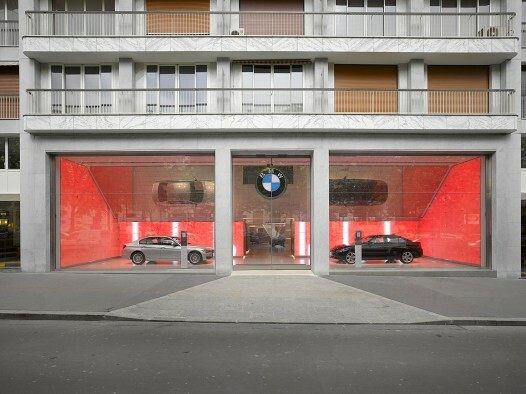 Nestled between the prestigious Avenue George V and the Rue Francois Premier in the heart of the Triangle d’Or district, CARBONDALE designed a programmatically avant-garde blend of activities combining museum / showroom / store / events space into a distinctively Parisian destination for BMW. 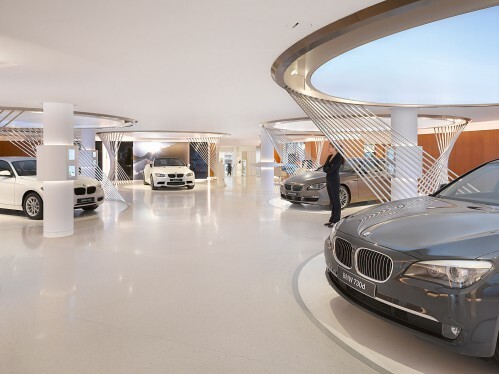 In contrast to typical shoe-box shaped automobile showrooms this 1,100 square meter construction is composed of in 5 distinctly difference spaces dedicated to the history, culture and products of the brand to create a sense of discovery and enrich the visitor’s experience. 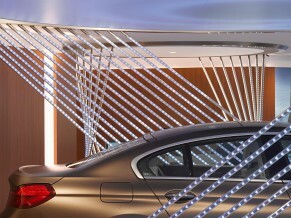 The first space is the “Stage”, a double height volume with technically avant-garde extra-large glass windows that reveal the show cars in front of digitally animated walls of LED and LCD. 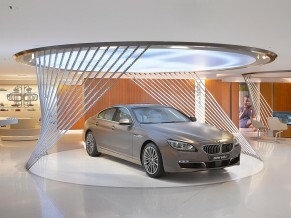 From the “stage is the central “circuit” space. 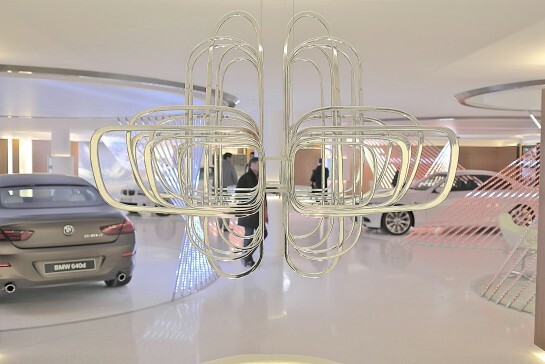 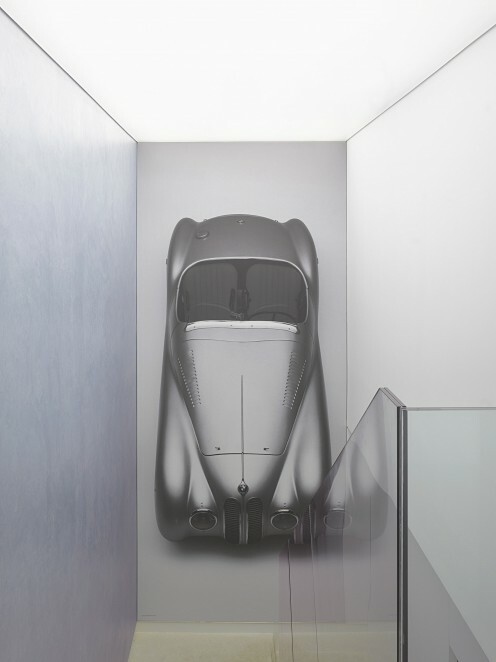 The main showroom is inhabited with digital vortex sculptures that veil the automobiles with light and color recreating a sense of movement upon the body of the display cars within. 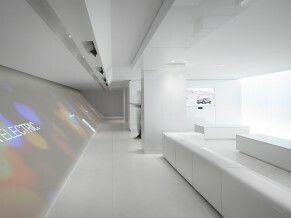 Other spaces include the “museum cove”, “accessories boutique” and VIP “white room”.